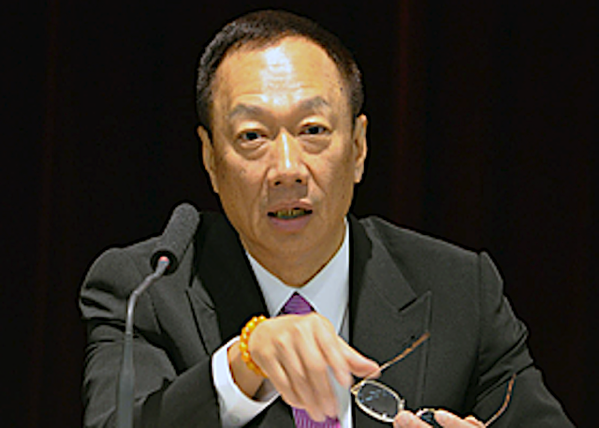 Citing two industry sources, the Nikkei Asian Review is reporting that Apple’s Chief Operating Officer Jeff Williams is planning to meet Terry Gou, the chairman of Foxconn, during his visit to Taiwan later this month. The source claims that the two executives will discuss the ongoing iPhone X production issues, especially the problems related to dot projector, a component in the 3-D sensor module used for facial recognition. Foxconn is currently the sole assembler of Apple’s 10th anniversary iPhone, whereas Sharp Corporation and LG Innotek are responsible for assembling 3-D sensor modules. The publication notes that although Sharp executives have recently revealed that the yield rate has improved significantly, a tech industry executive familiar with the 3-D sensor issue has said that it has not yet reached a satisfactory level. “The temperature may be down a bit, but the fever persists,” as the executive put it. The executive added that the yield rate for 3-D sensors will not reach a level that will allow suppliers to churn out the iPhone X at their full capacity by the end of October. While sources did not say what issues Gou and Williams will discuss, it can be expected that the two will look at how to deal with the manufacturing bottleneck for iPhone X, Apple’s most anticipated handset since the iPhone 6 range. Jeff Williams will be visiting Taiwan for the 30th anniversary of Taiwan Semiconductor Manufacturing Co. (TSMC), the sole core processor supplier for this year’s iPhone lineup.